An astrology web site with a difference! It is for the seriously curious who want quality, specialist, esoteric material. You will find the deepest research into the Dwarf Planets and Multiverse Astrology. 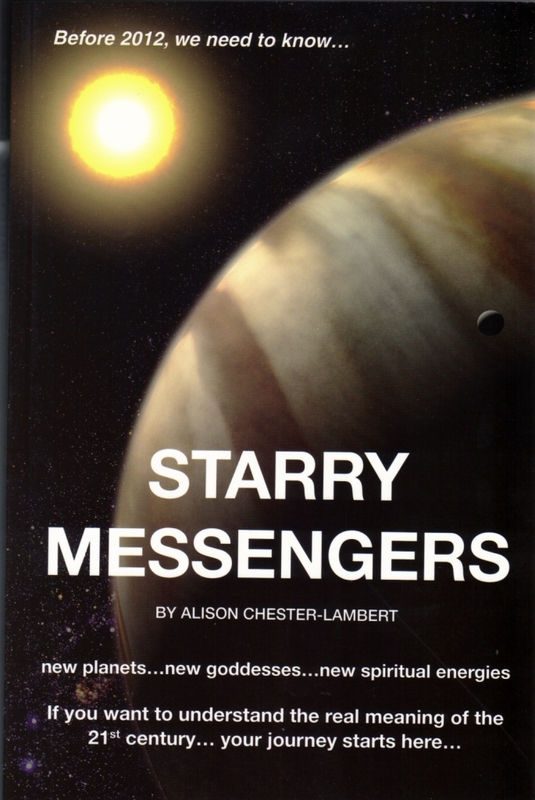 But even if you don’t know any astrology at all, you may still be able to understand and enjoy most of the pages. Alison is a regular contributor to the UK's Dail Mail newspaper, has lectured world wide and has BBC and American TV credits. 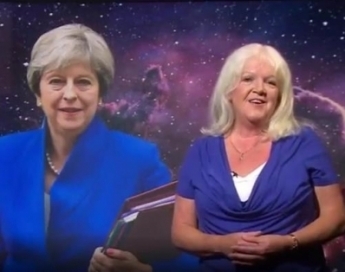 See here for an appearance on BBC 2's Daily Politics Show. 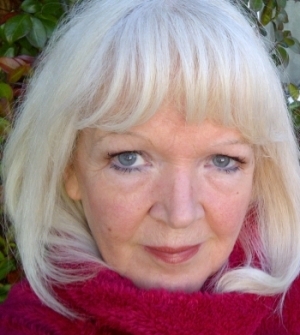 She has also had regular columns in all the top spiritual and astrological magazines both in the USA and UK. With 2 published books and a deck of astrology cards, she is also considered a serious research astrologer. Alison has a Masters Degree in cultural astronomy & astrology. An astrology consultation or reading is the best form of `life coaching` there is, for astrology has an unrivalled framework for self anaysis and spiritual understanding. It looks deep into the soul and reveals the underlying motivations or influences on a person’s life. With astrology we can understand ourselves and others better. We get new meaning to life and this makes us happier and more content. Clients are always very impressed with Alison's skill, accuracy and professionalism. For more info about readings click here. Only £79 for up to 90 minutes. Since a more relaxed approach to faith and belief systems other than the main 3 religions is now possible, astrology is enjoying more acceptance in many areas of life. If nothing else, it provides food-for-thought or philosophical reflection even in a light-hearted way. With a 7,000 year old history, it must have something to offer. How wonderful then that the Daily Politics Show - a bastion of stuffiness - invited Alison on the show! Click on the image to see the results! You are taught live via Skype video conferencing. Anywhere in the World. What is astrology? A system for deriving self and future awareness by analysing the behaviour of the Cosmos. And when we learn of our planetary energies, we connect with the Soul of the Universe. Psychological astrology classes for self development and future awareness are taught on line, with a range of classes and one-off seminars from basic through to more skilled. Alison has an entirely new way of teaching, that is much easier to understand than other methods. The basic Psychological Astrology Course is full spiritually interesting and intriguing material and after just 20 lessons, you will be reading horoscopes. Most importantly, you will understand yourself and your relationships in a way that you never thought was possible. Astrology`s great gift is how it enables you to see things in a much deeper and more enlightened way. You will become wiser and more in control of your own destiny. By mixing psychology and science with astrology, Alison has developed classes that offer an unparalleled journey into probably the most revealing and breath-taking awareness experience available. The biggest benefit of astrology is self-awareness. It is wonderful therapy to focus entirely on yourself and realise how special you are. Astrology can describe you accurately and positively. After having a consultation with Alison, you will feel as if you know yourself in a way you never did before. Alison can also give you the same understanding of your close relationships. Help you to understand what goes wrong, so can try a different way to get it right. If you have just met someone, and you want to know more about them, Alison can tell you his secrets and what`s going on underneath. Maybe you could do with knowing the best days for falling out and making up, or just the best days for romance. Or, if you are looking for relationship, Alison can help you with where to look and when. Family issues can be discussed if you wish. Astrology certainly helps us to understand more, and understanding means we can be more patient and forgiving. Career opportunities can also be hilighted, with when to get the best out of future trends and opportunities. 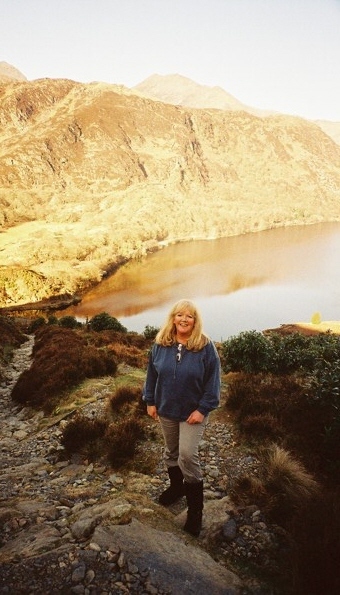 The famous spiritual guru and Angel lady, Diana Cooper has called Alison's work "revealing and insightful" wisdom. 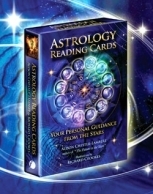 An astrology reading is £79 for up to 90 mins, recorded. The reading is via Skype on any device, but also have your phone ready to record it. e-mail alison@alisonchesterlambert.com for an appointment. Payment is by credit card using Paypal. If there is a painful issue that just won't go away and you need more than one enlightening session, Alison is happy to see you on a regular basis. In mainstream parliance, these would be called psychotherapy or counselling sessions. However, rather than sitting there saying nothing, Alison does offer opinion, alternatives and a whole new insight. She takes the view that if you'd been able to see your way out of the pain by yourself, you would have done! So a psychotherapist sitting there and saying nothing could be no help at all. "Life saving" "Alison has incredible insight and wisdom" "I couldn't believe the difference. My life changed from that day on. It has transformed me." Alison is very proud to say that she does not hold mainstream counselling qualifications, so is free to meet the needs of each person in a unique and individual way. Afterwards, clients feel freedom from pain, lighter, more in control and keen to get on with their lives. WiRE Ladies Networking Group Alison chairs the Hinckley and Bosworth networking group of lady entrepeneurs. Meetings monthly.